Hey, Herald of War is good mana cost reduction for Angels. Caged Sun is more ramp. 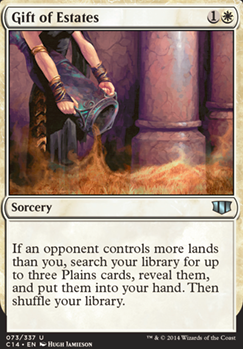 Tithe , Weathered Wayfarer and Gift of Estates are more low mana cost help to make your land drops. Making your land drop every turn is pretty important. If you don't draw Land Tax this can be difficult. Enlightened Tutor can tutor for Tax, Smothering Tithe, Luminarch Ascension , etc. Luminarch Ascension is a powerful card in multiplayer Commander and on theme with Angels. Iona, Shield of Emeria , Angel of Serenity , Linvala, Keeper of Silence , Baneslayer Angel are good Angels to consider adding. Mother of Runes can protect an Angel and Aven Mindcensor is not an Angel, but a staple white card who can make your opponent's tutors less effective. Grasp of Fate is an upgrade for removal since it hits each opponent. Mana Vault is an upgrade for a mana rock. 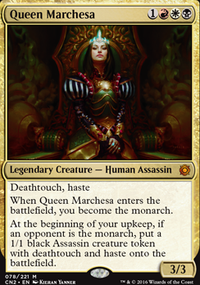 I would start with the EDHREC pages for enchantress and for mono-white. The big concessions you have to make with mono-white in commander are lack of card draw and ramp. 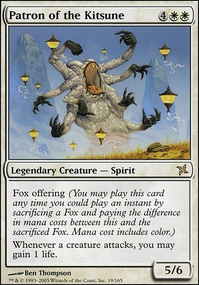 For that reason, the first cards I would put in the deck are Smothering Tithe , Knight of the White Orchid , Boreas Charger , Myriad Landscape , Oreskos Explorer , Solemn Simulacrum , Wayfarer's Bauble , Tithe , Gift of Estates , Land Tax , Endless Atlas , and Alms Collector . Depending on your build, you may then want Sram, Senior Edificer , Emeria, The Sky Ruin , Well of Lost Dreams , Sword of Fire and Ice , Skullclamp , Adanto, the First Fort , and Sword of the Animist . Snow-Covered Plains : use them with Extraplanar Lens. Expedition Map : tutor for Nykthos or Emeria. Do you have Scroll Rack ? 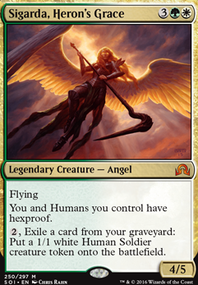 I see it in the sideboard; if you have it play it main deck, card is very good at helping to draw an Angel every turn and has fantastic interaction with Herald's Horn. I see Extraplanar Lens, this card works much better with Snow-Covered Plains then normal Plains. Snow-Covered reduces the number of opponents who can benefit from Lens. If you imprint a Snow-Covered Plains instead of Plains then only opponents who play Snow-Covered Plains get the mana bonus. Many of these cards I suggest to cut are anthem effects. I don't think Angels need so many of these effects since they're already powerful flying creatures; they don't benefit enough from so many anthems. Replacing anthems effects with ramp lets you actually play Angels faster which I think is more important than pumping them since you can't pump Angels if you don't have any on the battlefield. Lots of other high mana cost (CMC six plus) Angels have potential to clog your hand, not able to cast them. You already have your powerful eight mana Angel in the Command Zone because of this consider cutting a lot of other high mana cost Angels to help to reduce the avg. CMC of the deck which is currently high at 4.5. Whenever i see a mono white deck i look at certain specific cards in the deck. poorly enough i have to cry becous i don't see these cards in this list. 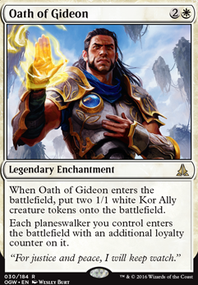 mono white needs a specific landbase and i build to much white decks to get the landbase in mono white decks to a certain clarified point. all my mono white decks have around 34 lands in the deck and i hope this will help u also. Emeria, The Sky Ruin getting a creature out of graveyard. u blow up enough from yourown to do stuff with your graveyard. Evolving Wilds and Terramorphic Expanse just getting the mana on turn 1 whitout having anything else to do in that turn is a great turn for white. 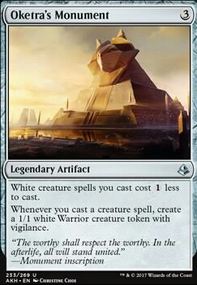 Kor Haven protection like kami Nykthos, Shrine to Nyx u have never enough white. Tithe and Gift of Estates and Land Tax and Weathered Wayfarer are good mana fetchers when u need your mana drasticly every turn. what white can fetch he must fetch i always say. suggested lands if u need answers or things that feel like important. Scavenger Grounds meh .. graveyard ... meh remove. bye. Temple of the False God 2 mana for a land sure. Crystal Vein need 2 mana directly also when first u can lose a land. Buried Ruin getting an artifact back ? Arch of Orazca i kinda find draw important. but its going to be slow eitherway Wasteland or Strip Mine if u need to get rid of a certain land.